Today’s healthcare organizations are clamoring to adopt patient-centered care management strategies in an effort to improve outcomes, lower costs, and increase patient satisfaction – otherwise known as achieving the Triple Aim. But are these new approaches optimally effective? 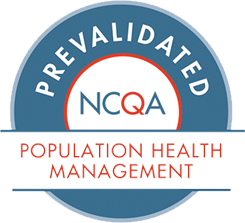 Prevailing population health management methodologies, particularly in the case of chronically ill patients, tend to focus on one or two comorbidities, perhaps with competing pathways for “self-management.” Essentially, they’re single-strategy, one-size-fits-all approaches that lead to the very same fragmented care that reform initiatives seek to eliminate. Truly impactful, difference-making patient-centered care must be much more holistic, comprehensive, and contextualized to the individual. While the intended outcome may be the same, each person and their particular pathway is – and should be – different. It starts with solid analytics. As my colleague Barry Zajac, ZeOmega’s Vice President, Product Management – Predictive Analytics, points out in this excellent white paper, traditional predictive modeling is just one tool in a very large tool box. For effective patient-centered care, organizations need to shift from predictive to prescriptive analytics that help build a more complete and comprehensive patient profile; analytics that develop a clearer picture of the individual and their context. This data can then be combined with evidence-based medicine and best practices to develop a customized care strategy that addresses all seven domains of health – social, physical, intellectual, spiritual, financial, emotional, and environmental. It’s impossible to separate mind, body, and spirit. Taking into consideration all seven health domains is extremely important for understanding where the patient is in their health journey and engaging with them holistically and individually on their pathway. Let’s say two 65-year-old diabetic men, Jim and John, were recently also diagnosed with heart failure. Jim’s a retired teacher who exercises daily with his wife, eats a well-balanced organic diet, and lives in the suburbs near a train and bus station. John is also retired, on a fixed income, lives alone in a rural area, regularly has fast food delivered, and would have to walk three miles to catch mass transportation. Two patients in the same medical boat: 65-years-old, diabetes, and heart failure. But clearly, that’s where the similarities end. In fact, given each man’s circumstances – their context – those similarities are more like coincidences. How we approach Jim’s new heart failure diagnosis should – and with true patient-centered care – will be drastically different from how to deal with John’s. We may have to help John find transportation to his doctor’s office and provide dietary coaching before we even think about educating him on the heart failure. With Jim, heart failure education might be where we start. Truly holistic, patient-centered care management must provide individualized pathways so that the patient can drive the car. (Note to readers: Barry Zajac and I recently conducted a webinar for AHIP called “Shifting from Predictive to Prescriptive Analytics: How to Deliver More Personalized and Holistic Care” that covers the points in this blog in much greater detail. I invite you to view it here).